Brainwashed - Terry Riley, "Persian Surgery Dervishes"
Terry Riley, "Persian Surgery Dervishes"
Few people have played as crucial a role in shaping the experimental music landscape as Terry Riley, yet his impact and historical significance have not necessarily translated into a discography of timeless classics ("Poppy Nogood" excepted). This particular reissue, originally released on Shandar back in 1972, still sounds remarkably fresh and contemporary though. Part of that is pure luck, as we are currently in the midst of an aesthetically similar analog synthesizer renaissance, yet these two improvised performances would probably seem immortal and transcendently consciousness-altering in almost any cultural context. Though the two pieces take somewhat different paths and evoke different moods, the overall experience is like being present at an organ mass that slowly transforms into a mass hallucination where all the notes bleed and swirl together in a lysergic haze of otherworldly harmony. 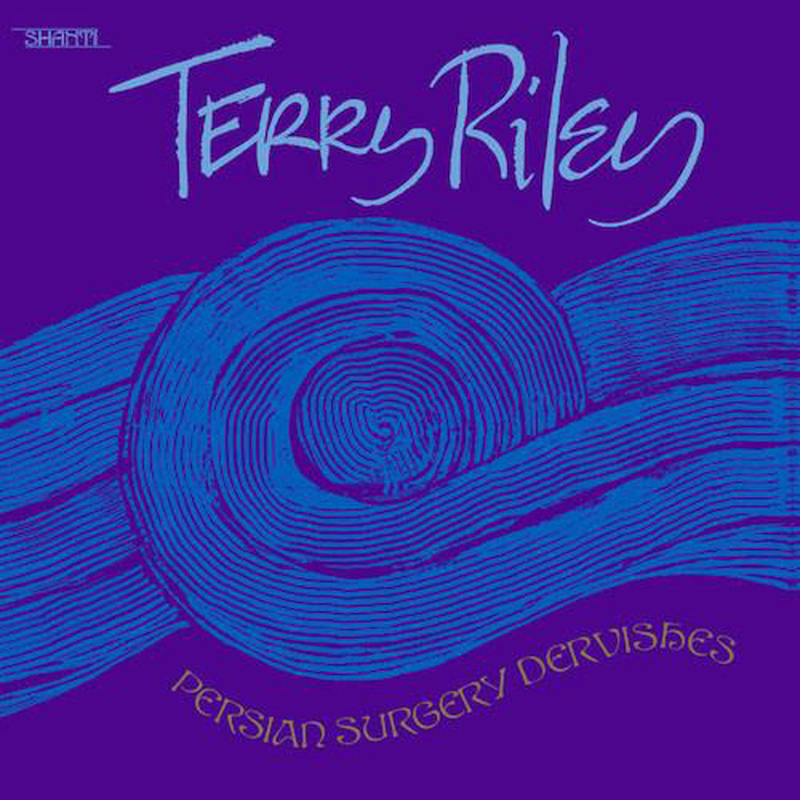 I am quite perplexed about where the "surgery" bit of this album's curious title originated, but Riley was much less cryptic in paying tribute to both Persia and dervishes, as this "composition" grew from his lasting fascinations with Rumi, ancient Middle Eastern culture, and Sufi devotional music. Surgery-wise, I suppose Riley may have been excising both conventional composition and standard tuning from his life, as well as normal consciousness from his listeners. If that is the case, I suppose the operation was a successful one on all fronts. While I cannot say I personally achieved any sort of ecstatic rapture over the course of this sprawling and somewhat overwhelming double-album, it definitely evokes a kind of trance-like and hallucinatory delirium (much like one of My Cat is An Alien's recent massive opuses). Part of that achievement is due to Riley’s odd yet minimal arsenal of gear: a modified electric organ (tuned to just intonation) and a reel-to-reel tape delay. The rest is due to the nature of the piece itself, as both versions combine a drone-like undercurrent with rapid flurries of blurry notes (not unlike John Coltrane’s "sheets of sound," albeit much more hazy and disorienting). The combined effect of the unusual tuning, "pipe organ" sound, obsessive repetition, and smeared textures is quite a singular one. Both pieces have a ritualistic, mesmerizing pulse at their foundation, but the foreground is a consciousness-eroding blizzard of whirling, swirling, and bleary notes that unpredictably see-saws between pattern and entropy. Both performances are roughly 45 minutes long and ostensibly spring from the same motif (a repeating minor key arpeggio pattern). In the case of the first piece, recorded in Los Angeles in 1971, that motif has a rather slow, deep, and elegiac feel. For the Paris performance, recorded a year later, Riley presents a brighter and livelier version of the pattern. That change makes quite a significant difference in the feel initially, as the Los Angeles version packs the dark gravitas of a requiem, while the more listenable Paris version feels like an extended psych freak-out by a formidable prog rock band. As Riley's ecstatic improvisations build momentum, however, the differences between the pieces start to blur and disappear (though I do love the oddly see-sawing throb that coheres for a while in the Paris version). Obviously, the primary appeal of both pieces today lies in the strange harmonies and the mantric, Eastern-informed drone pulse. There have certainly been many better drone albums since Dervishes was released, but the just intonation still sounds somewhat radical and alien to my contemporary ears. Also, this remains a deep and sustained mindfuck by any standard. One thing that absolutely no one else has been able to replicate or build upon, however, is the virtuosically varied and free-wheeling breadth of Riley's improvisations. While it certainly verges on indulgent at times, Riley's blithe genre fluidity is arguably also his greatest strength, as Dervishes seamlessly dances through classical minimalism, the blues, psychedelia, Eastern drone, and hymn-like organ reveries with vibrant spontaneity. That deft unpredictability is compelling in its own right, but it also serves an essential purpose, as Riley's periodic eruptions into melodic riffing act as a necessary tension release from his swarming crescendos of rapidly hammered notes. Without them, Dervishes would be a numbing experience. With them, Riley is able to sneakily ratchet up the intensity and psychic vertigo without losing my attention. 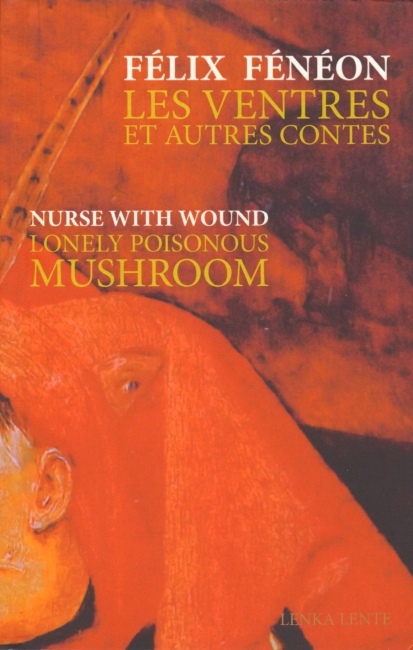 Persian Surgery Dervishes is a pointed reminder that the most striking and important albums are not always the most perfect ones, nor are they always the ones with the most focused vision. This album is undeniably messy, imperfect, and indulgent at times (and perhaps also overlong as well), yet it remains a dazzling and inspired tour de force. There is something quite beautiful, intimate, and almost heroic about these performances. It is almost as if Riley were certain that if he found the right combination of notes and maintained the necessary intensity, he could dissolve the boundaries between dimensions and lead his audience to a higher plane of existence. Obviously, these two performances would not even have been possible if Riley had not already spent decades performing, composing, thinking deeply, studying traditional Eastern music, and revolutionizing minimalism, yet the very essence of Dervishes is simply that of a lone man with an electric organ trying to whip up a spontaneous and unique performance so wild and transformative that it would blow the minds of some of the world’s most sophisticated concertgoers. If my own experience listening to a mere recording four decades later is any indication, I would say he probably succeeded: this feels more like an enthralling document of a mass religious epiphany than a mere album.